Okay! So there is this place "La Gardenia" on Lavelle Road, Bangalore, on the Ground floor, above Rice Bowl at Usha Lexus Hotel (Beside Mandovi Motors). I remember this place to be a small eatery for mostly in-house guests serving mainly continental stuff. 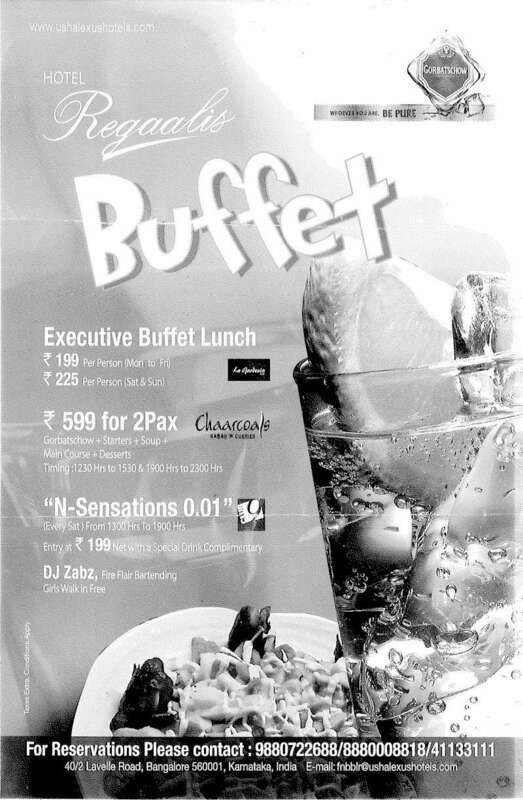 But for the last 6 months or so, they are having regular buffet spreads for lunch, comprising Veg & Non-Veg on the menu. Normally at the places that we have been, there has been atleast one occassion, where we had to complain about the service or quality of food. We are maybe lucky to not have had such an experience here so far! » Help From Gardenia Bonsai Owners!